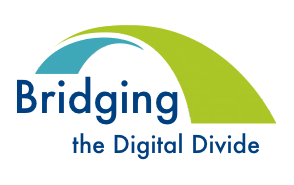 ‘Bridging the Digital Divide’ is a new model of engagement designed to encourage tenants' use of digital technology and the Internet. First run in 2015 as a pilot project by Supporting Communities in partnership with Clanmil Housing Association with support from Go ON NI, this initiative demonstrates the benefits of going online using software that simplifies the process of using communication tools, social media, and other applications of interest to each participant. As government and businesses continue to make their services “digital by default” there is an increased need and urgency to ensure that everyone has access to and the ability to use the Internet. Being digitally competent is now a necessary part of modern life and no one can afford to be left behind. Regardless of age or ability, we believe going online has digital and social inclusion benefits for everyone. Hear first hand from some of our participants how they have benefited from learning to use the Internet in the videos below. Our "Gloonan Stars", as they have dubbed themselves on Facebook, tell us about their experiences in this short video. Don't discount anyone when it comes to digital inclusion! This group of people with dementia are thoroughly enjoying being online. We have documented our pilot work in a Project Report and a Best Practice Paper. Check us out on Facebook as well, www.facebook.com/BridgingTheDigitalDivideNI, to see what else we get up to!